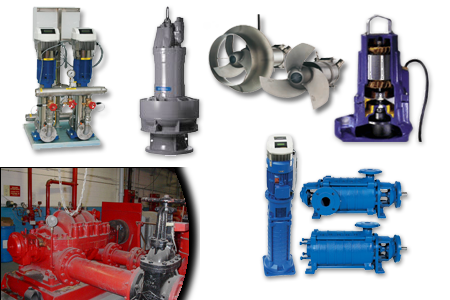 At Global Électromécanique we propose to you some economical and durable solutions for the repair and reconditionning of all type of brand name pumps and their parts, on all type of sites including closed in areas. Following a precise diagnostic, our electromechanics will furnish you a detailed report and will illustrate the state of each of the sections of the installation and will choose the best solutions adapted to the refurbishing of the used of broken pieces, on site or in our workshop. The inspection reports and description of the work done that are kept in your file, will guarantee an efficient follow-up of your installation. 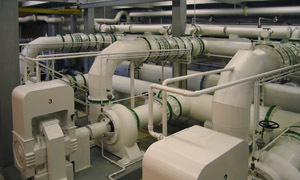 At Global Électromécanique we have the equipment and the necessary knowledge to install in the briefest delays all types of brand name pumps in a number of sectors. Our team of expert electro mechanics master the installation technics on most the sites and are trained to work in closed areas. At your request, our representatives will be able to give you competitive propositions for the acquisition of the material to be installed. Global Électro-Mécanique inc. © 2010 All rights reserved .